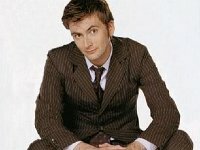 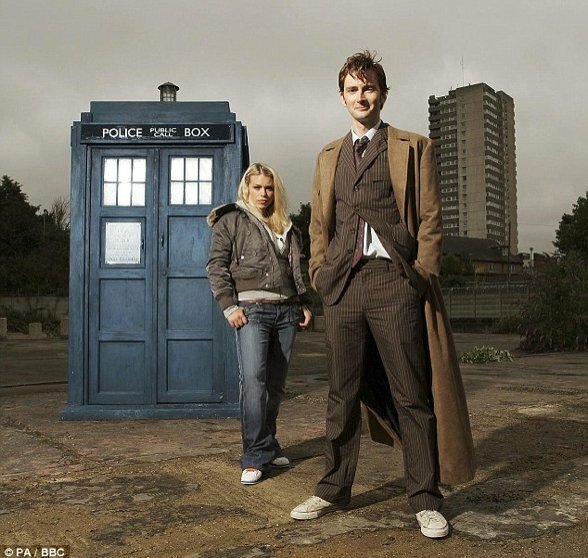 Photo gallery of David Tennant in his role as Dr. Who wearing chucks in the television series. 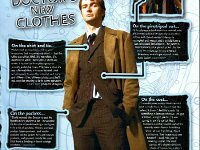 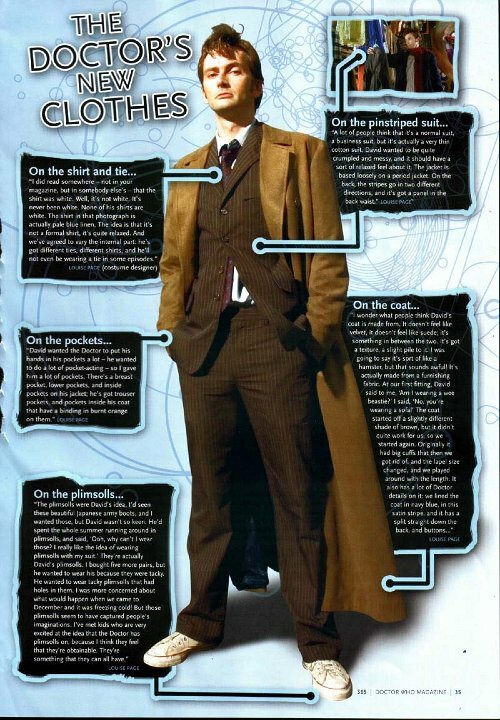 1 Doctor Who Photo from Doctor Who magazine describing the doctor's new clothes. 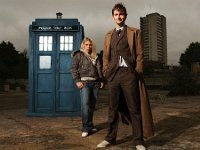 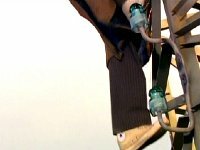 2 Doctor Who Doctor Who climbing a high power utility tower in his white high top chucks. 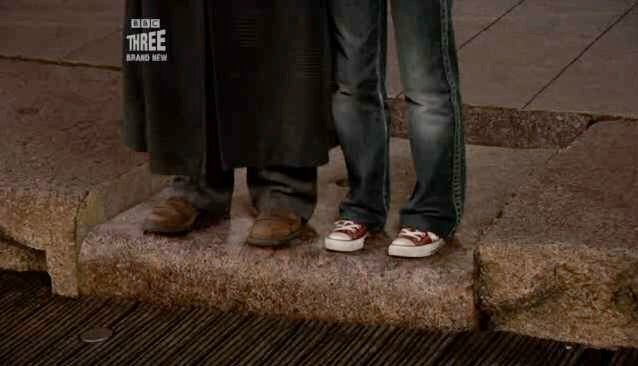 3 Doctor Who Doctor Who wearing black high top chucks. 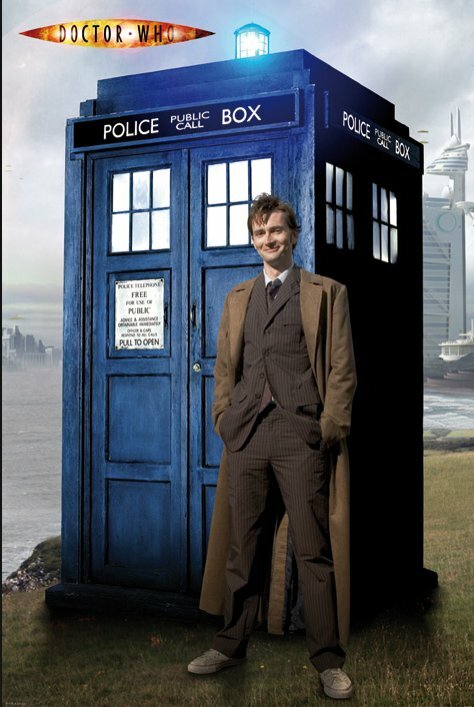 4 Doctor Who Doctor Who disguised as a waiter (with black high top chucks) escaping with Rose. 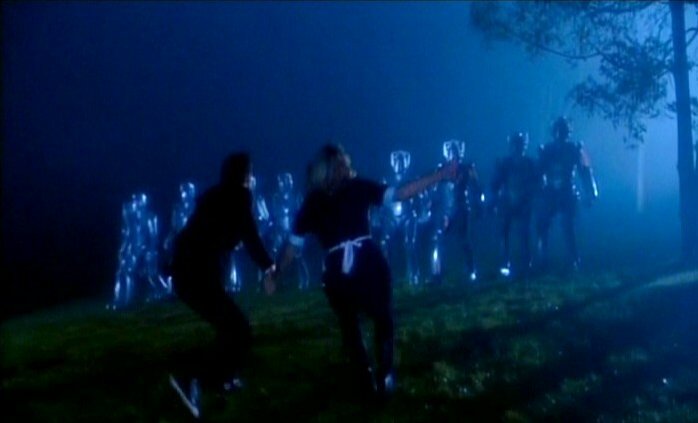 5 Doctor Who Doctor Who and Rose Tyler run into a host of aliens. 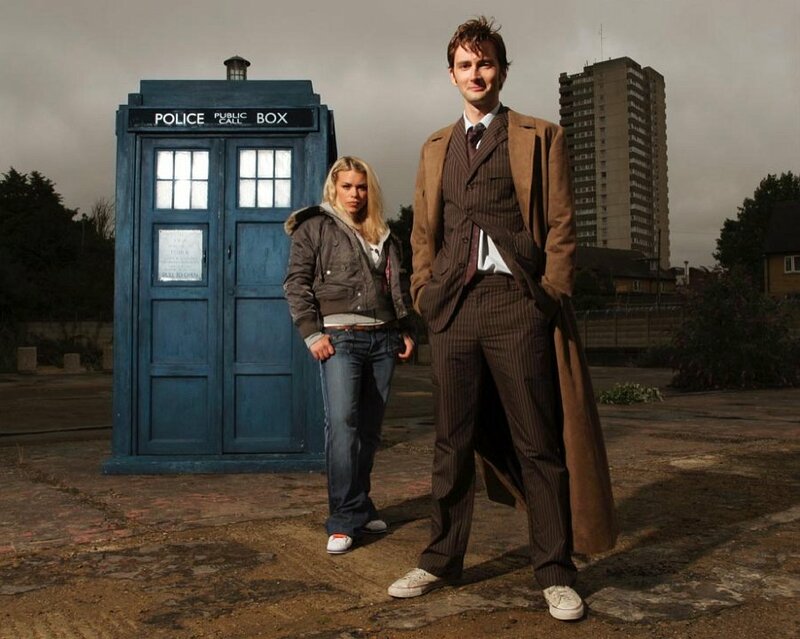 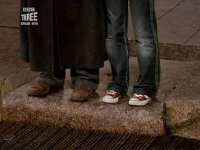 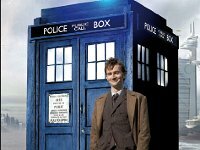 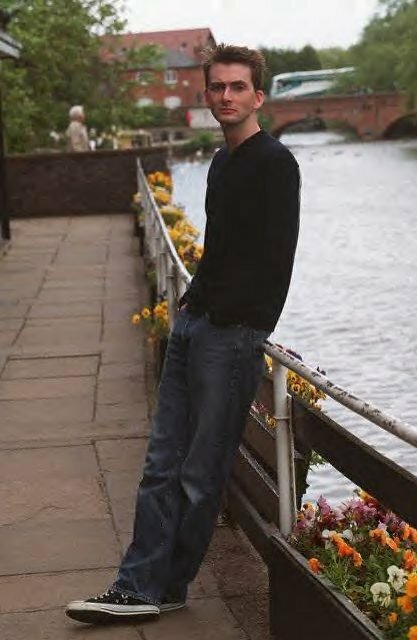 6 Doctor Who Actor David Tennant has been a chucks guy for many years. 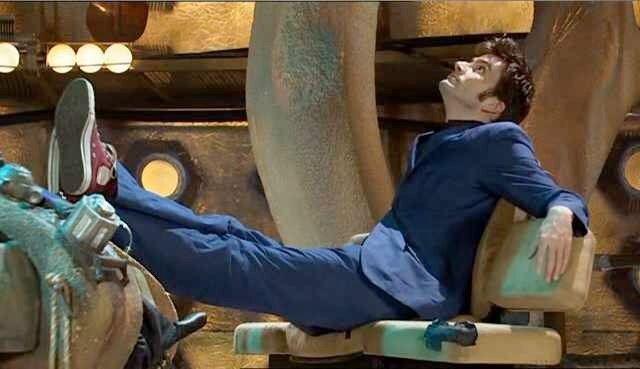 8 Doctor Who Dr. Who kicking back in the office. 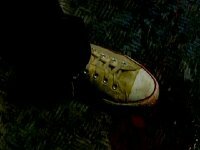 9 Doctor Who White high top with a blood stain. 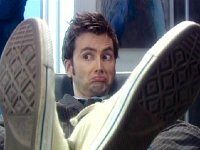 10 Doctor Who Kicking back in whiite high tops, shot 2. 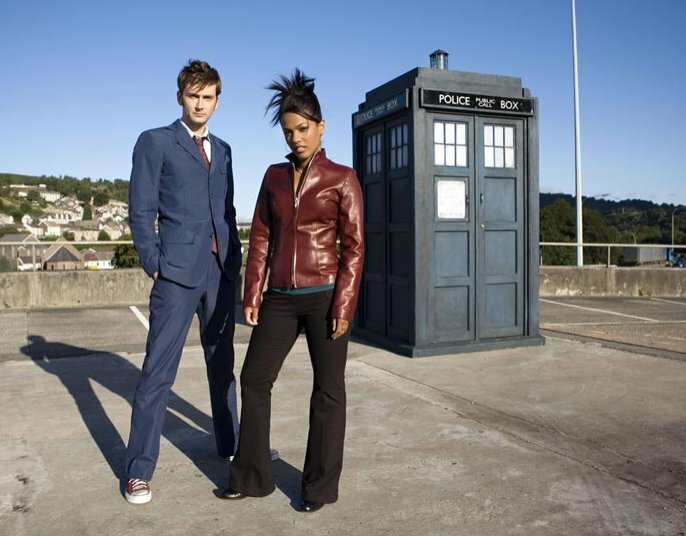 11 Doctor Who Dr. Who with his latest companion Martha Jones in front of the time machine. 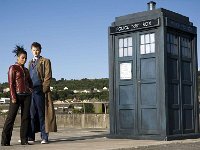 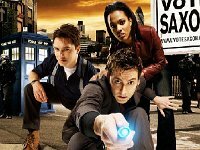 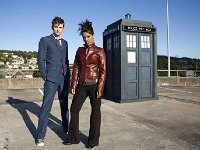 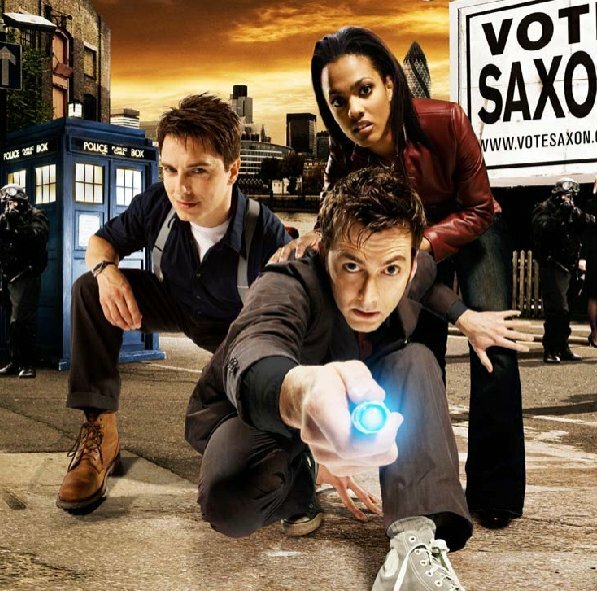 12 Doctor Who Dr. Who with his latest companion Martha Jones, shot 2. 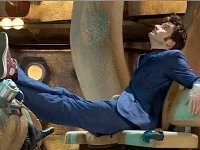 13 Doctor Who Dr. Who with his feet up on the Tardis console. 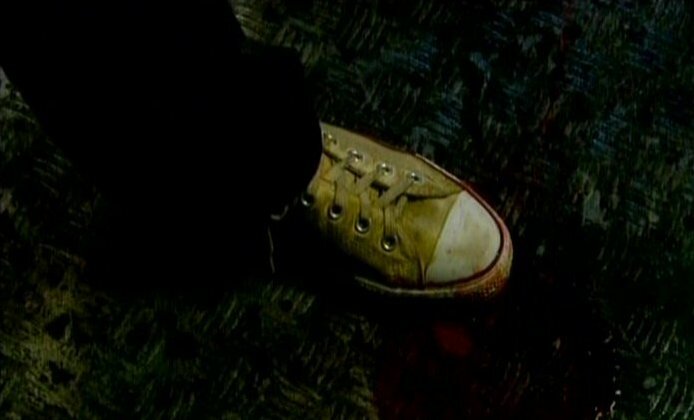 15 Doctor Who Gwen steps in a pool of blood wearing her green chucks. 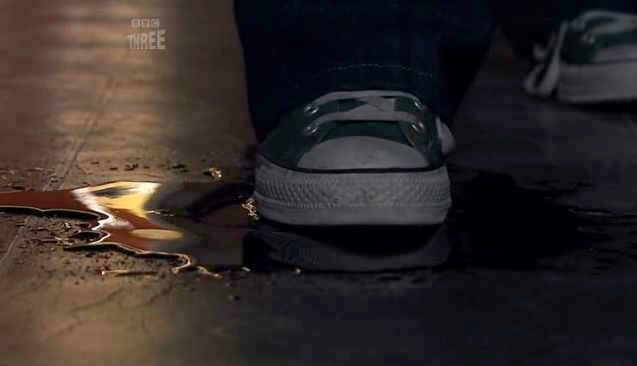 16 Doctor Who A picture of chucks is a key clue in another episode. 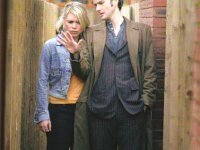 17 Doctor Who Dr. Who and Martha escaping. 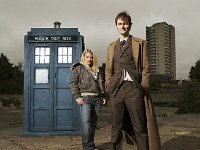 18 Doctor Who Dr. Who, Martha, and Captain Jack. 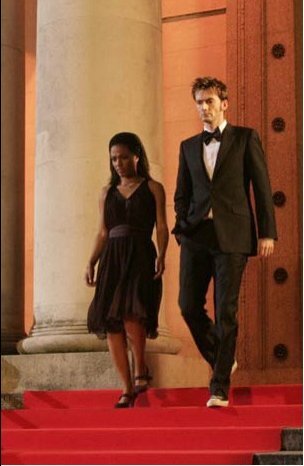 19 Doctor Who Dr. Who and Martha leaving a formal occasion. 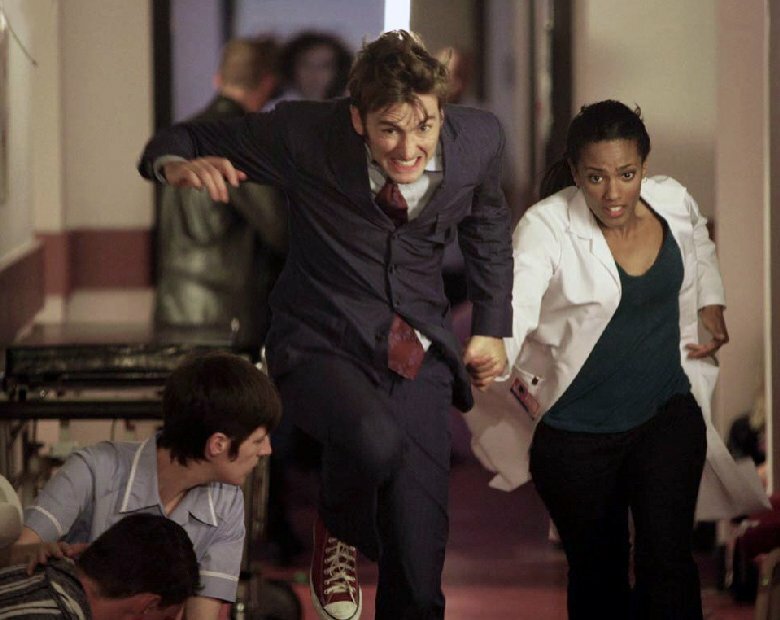 20 Doctor Who David Tenant wearing maroon chucks. 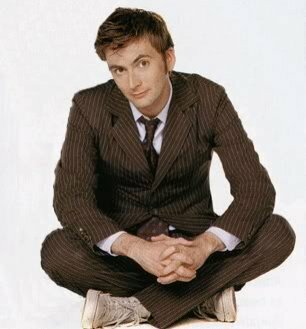 21 Doctor Who David Tennant seated wearing natural white high top chucks. 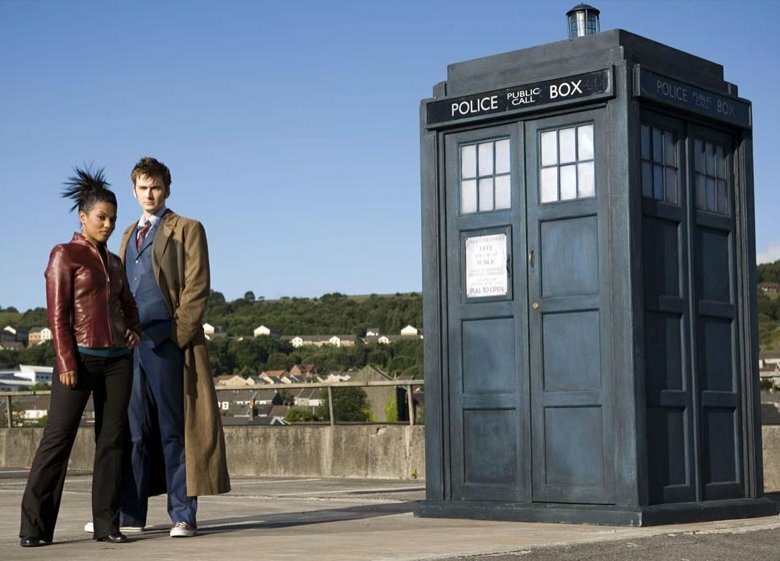 22 Doctor Who Dr. Who posing outside the telephone booth time machine. 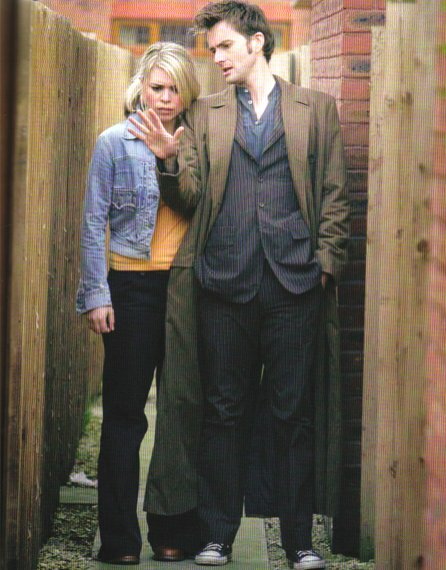 23 Doctor Who Dr. Who and Gwen. 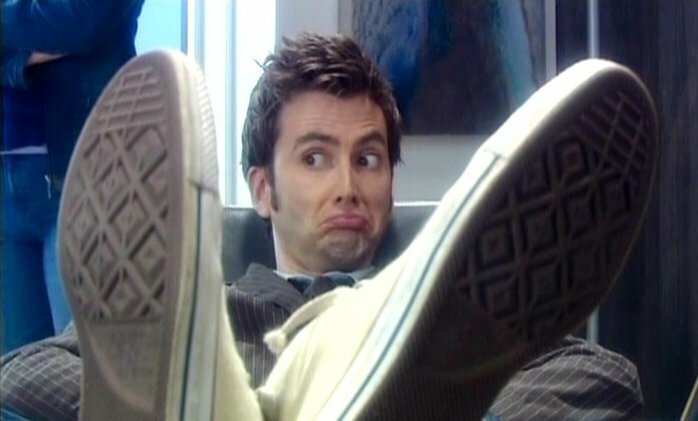 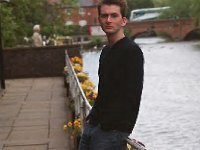 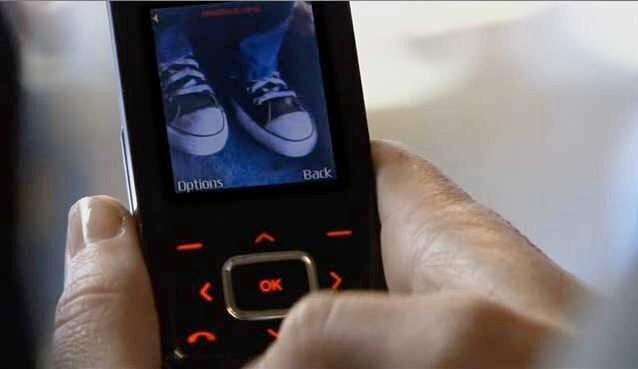 David Tenant in his role as the tenth Dr. Who, wore high top chucks in black, white, and maroon during the series.